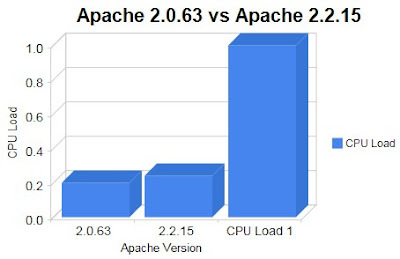 Ok charts are cute but were are the numbers? 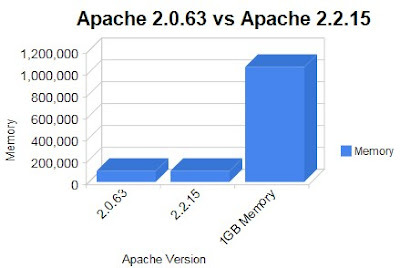 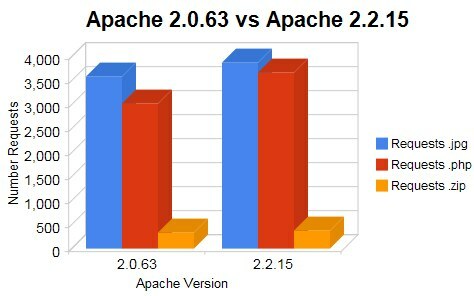 well there isnt a point or need really, since the site hosted (and test files) on the box are not a perfect benchmark of Apache's abilities, this should be considered above all a real world test, than a well measured test, but we can take a conclusion out of this, just looking at the charts, Apache 2.2 branch does seem to perform faster than the Apache 2.0 branch, although that performance increase is traded by a slightly higher cpu and memory consumption (about 0.3% memory increase and about a 6% CPU load increase ), hummm i can live with that, 2.2.15 WIN! hehehe, besides newer software has a tendency to bring better performance and security, and in the long run thats always smart thinking.